Sunflower seeds are processed into sunflower oil, used for cooking and baking or added to salads, or simply enjoyed as munchies. Sunflowers are native to North and Central America, nowadays they also grow in Europe and Asia. The seed of the sunflower has a hard, greyish shell, mostly covered with black stripes. 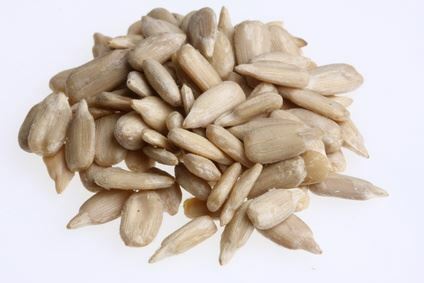 Sunflower seeds consist to almost 90% of healthy unsaturated fatty acids. In addition, sunflower seeds contain the vitamins A, B, D, E, and K, calcium, iodine, magnesium and iron.